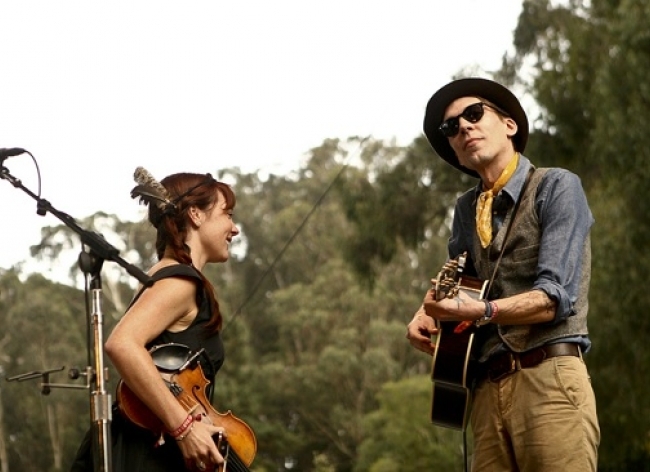 Bright Eyes, Jason Isbell & The 400 Unit, Justin Townes Earle, Kurt Vile & The Violators, M. Ward, Woods, Thurston Moore, and The Felice Brothers took the stage at this year’s Hardly Strictly Bluegrass Festival. The free festival spanned from September 30th through October 2nd on six stages at Speedway Meadow in Golden Gate Park. Thurston Moore delivered a set that Joshua Zucker of The San Francisco Chronicle described as a “deliciously electic set of songs,” and that although this was an acoustic band, “Moore has not lost any of the bluster or reduced his expressive range.” Moore was joined by a six-piece band that included violin and a full size harp in which he noted was his first ever bluegrass festival appearance.